Asphalt Parking Lot Paving Contractors know that the sleek, dark appearance of asphalt adds richness, polish, and safety to the exterior of a commercial property’s exterior. An asphalt paving company will always know how to make your aslphalt road smooth and safe to enhance traffic flow, improves parking. Commerical Property Managers choose asphalt because of its durability, minimal maintenance, and pricing. 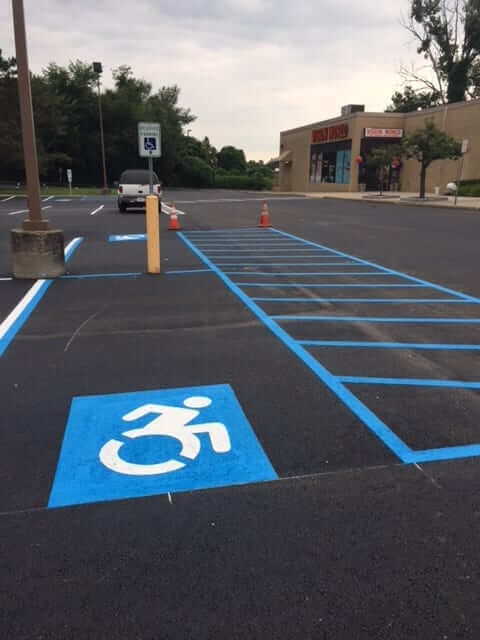 If your your commercial parking lot needs paving because it is brittle, cracked, or discolored, it may be time to get a free driveway seal coating estimate from Frank A. Macchione – Paving Plus. We’re your local Bergen County NJ asphalt paving company. Give us a call at 201-652-0694 for a free estimate or fill out our contact form. We’ll give you a cost estimate within 24-48 hours. Paving Plus has been providing commercial asphalt and paving services to municipalities, businesses, and non-profit organizations throughout Bergen County, New Jersey and surrounding areas. For more than three decades, Frank Macchione’s family-owned paving company has been providing personal, knowledgeable service that makes commercial property appear professional, attractive, and impressive. The licensed professionals at Paving Plus will listen to your needs, view the site, and recommend services that are most suitable for your commercial paving project or residential job. Contact Paving Plus at 201-652-0694, or complete our online form to request a quote.